Nurse practitioners provide primary health care, either instead of or in collaboration with a doctor. Nurse practitioners are among the most in-demand caregivers in the health-care system. They provide primary health care in communities where physicians are scarce, and often collaborate with doctors in clinics, hospitals or private practices to help meet the demand for routine care. It's a rewarding career, but like any other job, it has its stresses and disadvantages. Nurse practitioners don't have as high a learning curve as doctors, but it's still long and costly. They start by training as registered nurses, earning a bachelor's degree in nursing and then passing a national certification exam. That usually takes four years. Most nurse practitioner training programs won't accept applicants with less than two years' practical experience, and more is usually better. Qualifying as a nurse practitioner requires a master's or doctoral degree in nursing, which takes at least two to three years. That adds up to at least nine years of training and experience before you can work as a nurse practitioner. Nurse practitioners practice at a level pretty close to a doctor's, and that means they face much the same risk of malpractice suits. Malpractice insurance doesn't come cheaply, and nurse practitioners don't have a doctor's income to cover the costs. Unless malpractice coverage is included as an employment benefit, it takes a big bite out of your income. Some nurse practitioners work clearly defined, stable hours every week, but that isn't necessarily the norm. Hospital-employed NPs work irregular shifts and usually take a regular turn on the on-call roster. NPs in private practice seldom work night shifts, but often must take calls from patients after hours. It can make home life difficult and disrupt your personal relationships. 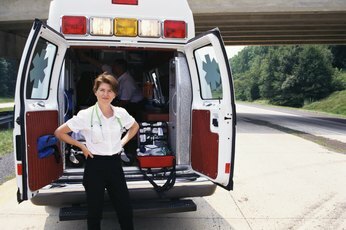 In areas where doctors are in short supply, nurse practitioners often provide primary medical care instead of physicians. 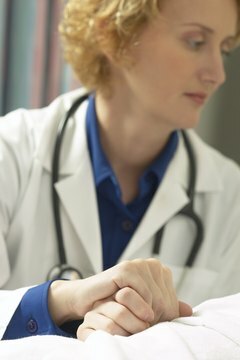 Many organizations advocate increasing the use of nurse practitioners as primary caregivers and expanding their scope of practice, a suggestion that the American Medical Association and other doctors' groups reject. If you're in a state where that turf war is being fought, it can make for strained and stressful relationships between you and the doctors you collaborate with. Each state defines the level of care its nurse practitioners are allowed to provide. These scopes of practice, as they're called, vary pretty widely. For example, Maine, Maryland, Iowa and most western states allow NPs to diagnose patients, bill insurers and prescribe medications independently. Other states, including Michigan, Indiana and Oklahoma require a doctor to sign off on any prescriptions, while California, Texas, Pennsylvania and most other states require NPs to practice under the supervision of a physician. Those restrictions can prevent you from practicing to the limits of your training, and can be an obstacle if you want to move to another state. Midlevel U: Are There Any Disadvantages to the Nurse Practitioner Profession? 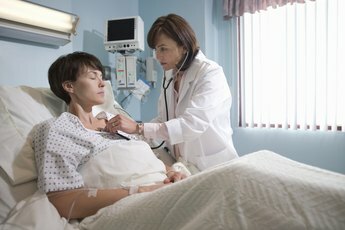 How Much Do LPNs Make an Hour? How Much Does a CRNA Make a Year? How Much Do Resident Doctors Get Paid? 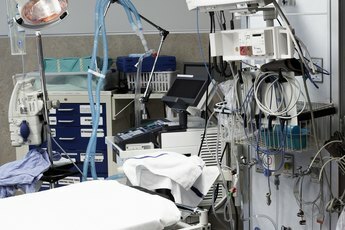 Which Job Pays Better: A Vet or a Doctor? How Much Money Do Family Nurse Practitioners Really Make?